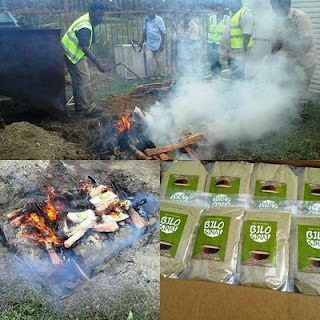 Papua New Guinea National Agriculture and Inspection Authority (NAQIA) destroyed 11 boxes of Fiji Kava Powder. The 11 boxes of Fiji Kava Powder confiscated at the Jackson International Airport almost 2 weeks ago were burnt at Kilakila Station last week. According to Mrs Marilyn Apa, NAQIA’s Regional Plant Protection Officer Southern Region, the consignment was addressed to Jacks Retail PNG. She said, “proper procedures were not followed to import the product from Fiji resulting in NAQIA confiscating the product and detained pursuant to the NAQIA Act of 1997 on the detention of plants."